Vet Chris Day explores homeopathic treatment as a potential alternative to conventional medicine, while dairy farmer Tim Downes explains how he uses a simple treatment to replace conventional dry cow therapy. Mr Day, a qualified veterinarian, has been practising homeopathic medicine for 40 years. Its approach is holistic, so the first step is to ensure livestock are being correctly managed, he stresses, as healthy livestock will cope better with disease challenge. “In an intensive farm situation, however, ideal conditions are not always attainable,” says Mr Day, who runs the Alternative Veterinary Centre in Stanford-in-the-Vale, Oxfordshire. He stresses livestock diseases are usually acute by nature and are therefore fairly straightforward to treat. Homeopathic medicines are chosen on the basis of the body’s reaction to the remedies and a wide spectrum of diseases can be treated. Most of his farm cases come at the specific request of the producer. Following an enquiry, he will contact the farm vet for permission to become involved in the case and this is always granted. However some farmers have taken the principles on board and opt to prescribe their own treatments, he says. Mr Day says: “For anyone new to homeopathy, it will resemble nothing they have ever seen before. But farmers can learn how to diagnose and administer treatments to their own livestock once they have grasped the basics. Mr Day has overseen the treatment of many dairy herds where homeopathy is used routinely. “Homeopathy has almost fully replaced the need for any conventional drug or hormone treatments on some units. Persistent individual cases can still be treated using antibiotics. But once the obstacles to recovery are removed, there is no reason why homeopathic treatments cannot achieve the same – or even greater – levels of success than antibiotics. It is always difficult to compare costs across different types of treatment, but in general, successful cases are highly cost-effective, Mr Day says. Homeopathy can be used alongside conventional drug treatments, but this approach is rare and requires careful planning, he warns. Homeopathy was first introduced in the early 19th century and many cultures around the world still have great faith in its effect, Mr Day says. “There was a strong resurgence of interest in the practice in the early 1990s, but in recent years, the principles have been questioned and there has been a strong anti-homeopathy movement. But despite the recent negativity, there is still considerable global demand. “It is all too easy to be sceptical about the practice and it should be remembered standard treatments rarely bring a 100 per cent success rate. I feel it is hugely under exploited. “Whenever I am questioned about its use, I always give the same reply: I am a qualified vet and I consider I am reasonably intelligent. 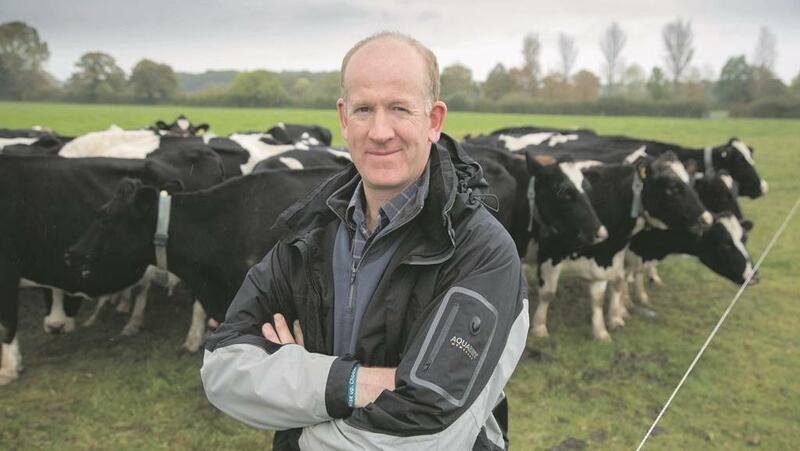 Tim Downes runs a herd of 250 New Zealand Friesians on a low input system. A committed organic farmer, he first tried homeopathic remedies 20 years ago and has been using them ever since. “I sought some advice from Chris Day about how to treat ringworm and with that success behind me, I began using homeopathy on a regular basis,” says Mr Downes. “I attended a three-day training course with my herdsman and we read up on the subject. As an organic producer, Mr Downes has restricted access to antibiotic dry cow therapy and homeopathic treatments have allowed him to cut out their use altogether. “Decisions on treatment are made following close observation of the affected cow and the symptoms she is exhibiting. In cases of suspected mastitis, for example, I will note details about the appearance and feel of the udder. If clots are present, I will assess their colour and consistency, as this will indicate which treatment will be effective. “In one particular case, a cow with mastitis had a very swollen and painful quarter. She was nervous and fidgety and lashed out when she was approached. I treated her with belladonna, but without much hope and thinking she might lose the quarter. By the evening, the swelling had gone down considerably, there were only a few clots and she was calm and placid. As lactating cows are not given antibiotics, there has been no need to withhold milk from the tank, he adds. There are no intrusive injections or a requirement to dispose of needles. Another bonus is homeopathic medicine is cheap, compared with veterinary drugs; one of the nasal spray treatments costs only £12 for 100 doses. “I regularly use aconite for stressful situations, such as de-horning and castration,” he says. “Arnica works well for bruising and difficult calvings and cows with fertility problems are given sepia, to get them back in calf. Cases of milk fever and staggers are dealt with using conventional calcium and magnesium injections, alongside homeopathy. The word homeopathy comes from Ancient Greek and means ‘similar to the disease’. The practice uses curative agents with the ability to provoke a similar set of symptoms in a healthy body. Extreme dilutions are used to produce the medicines, which means they are very safe. They work through the body’s energy processes rather like computer software, as opposed to working pharmacologically. There are no known dangers associated with the use of homeopathy. It can be used on pregnant, unborn and juvenile animals. There are no known side effects. The medicines act as a stimulus to the body’s own healing processes, rather than attempting to make alterations more directly, as occurs with drugs, herbs and aromatherapy. Side effects result from the body’s reaction to drug medicine, whereas the body’s reaction to homeopathic medicines is a healing response. On occasions, there may be a temporary worsening of some of the signs of the illness being treated. This only occurs when the correct medicine has been selected, but potency levels have been miscalculated. Stopping the medication usually brings rapid improvement. This phenomenon is known as ‘therapeutic aggravation.’ It is a result of the body’s method of healing, rather than any effect of the homeopathic medicine. Human patients often report they feel better, despite a slight increase in the outward signs of the illness.